1) The Prime Minister made a public announcement on 27 March 2019 about the successful launch of India’s first anti-satellite weapon (ASAT), which made India the fourth nation in the world with anti-satellite missile capabilities. While the timing of the exercise is questionable, even more questionable is the fact that the announcement of the launch was made with much fanfare by the Prime Minister when propriety demanded that it should have been left to the officials of the Defence Research and Development Organisation (DRDO) at a time when the MCC was operative. The country was facing no immediate security threat that required the Prime Minister, who is an election candidate himself, to make a public announcement. On the purely technical ground that the announcement was not made on the public broadcasting service, the ECI held that there had been no violation of the MCC. 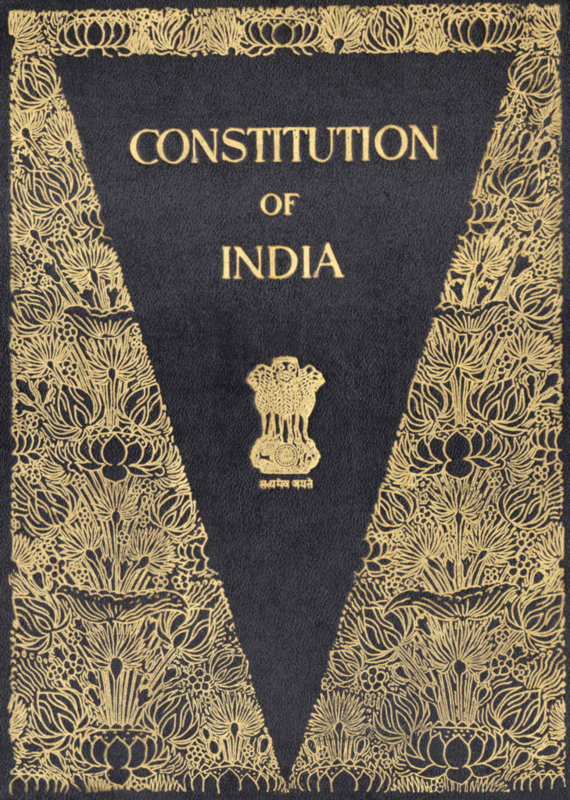 We feel, however, that parading the achievements of a government in this manner after the announcement of elections is tantamount to a serious breach of propriety and amounts to giving unfair publicity to the party presently in government and that the ECI’s decision does not stand up to the standards of impartiality expected of it. 2) Our group addressed a letter to the Chief Election Commissioner (which was also made public) on 26 March 2019, requesting the ECI to issue directions to withhold the release of all biopics and documentaries on any political personages through any media mechanism until the conclusion of the electoral process. While the ECI is still to respond to our letter, we understand from media reports that a biopic on the present Prime Minister is slated for release on 11 April 2019, on the day of commencement of the polling process. This, in our opinion, represents a backdoor effort to garner free publicity for a political person (and his party). In the event that this biopic is released even while the election process is ongoing, we contend that the entire expenses on the production, distribution and publicity of the biopic should be debited to the election expenses of Shri Narendra Modi. 3) The same principle should also be applied to the 10-part web series “Modi: A Common Man’s Journey” the first five episodes of which are out on the streaming platform Eros Now, with the ECI again doing nothing but going through the motions of calling for details. 5) While the ECI has passed orders transferring three top police officers and the Chief Secretary in Andhra Pradesh and four top police officers in West Bengal, we find it curious that no such steps have been taken in Tamil Nadu, where the present Director General of Police (DGP) is reportedly under investigation by the Central Bureau of Investigation in the Gutkha scam case and there have been repeated appeals by the Opposition parties in Tamil Nadu seeking his removal from that post. He is also on extension beyond the normal date of his superannuation and, as per ECI norms, such officers should not be assigned election duties. Even more significantly, the same officer had been ordered by the ECI to be transferred during the 2016 Tamil Nadu Assembly elections. It is unfortunate that different yardsticks have been applied in the cases of the former Commissioner of Police, Kolkata and the DGP, Tamil Nadu. 9) In our open letter dated 24 February 2019, our group detailed our proposal to the ECI for the proper implementation of VVPAT-based audits of EVMs in the forthcoming elections. The ECI made an astonishing submission before the Supreme Court that if manual counting of VVPAT slips of 50% of EVMs is done (as prayed for in a joint PIL by 21 Opposition Parties), the election results would be delayed by six days when everyone is aware that, even in the days of paper ballots, the counting used to get over within 8 to 15 hours and the results were declared either the same day or the next day. The ECI had constituted an Experts Committee to make recommendations on VVPAT-based audit. This was a simple matter which required only two or three sittings of the Expert Committee and could have been finalised in less than a month. The first meeting of the Expert Committee was held on 4 October 2018. The next meeting of the Expert Committee was mysteriously delayed by five months and it was held without inviting the members who expressed dissenting views in the first meeting! The ECI’s obdurate conduct and its reluctance to undertake a proper VVPAT audit when its present sample size fails to detect a ‘defective EVM’ (i.e. a malfunctioning or manipulated EVM) 99% of the time raise serious questions about its motives for doing so. This is all nonsense and has no logic or reason. If the announcement of certain achievements of ISRO for launching Strategic Satellite is very relevant. It not only boosts the morale of the Organization and the people who have contributed in this great work but also projects the image of India in the International world. In this act , the PM has not violated any MCC . If high functionaries like the PM and a CM violate the MCC it is just sad and if this is done knowingly and deliberately by such high personages, nothing can be worse . If a self declared code of conduct submited by each poltical party /candidate separetly and this code of conduct must conform to model code of conduuct then disobidieance is not possible. Sir, just like how the governor sir you have mentioned is for bjp so is the president sir. However, it is a good sign that you have come forward as a group and been pointing out mistakes like this for proper functioning of democracy and much more in this country. I realize you have pointed out PM modi’s name specifically again and again and also his party – BJP’s name. Of-course, they are the ruling party and have an edge over misusing their power. But you haven’t in your entire letter either mentioned the name ‘rahul’ or ‘congress’ [except in the instance where bjp said about it] anywhere. You just mentioned them with terms like “any political personages” etc. It would have also been good on your part to specifically mentioned the mistakes even they did because they are main opposition in the election now. I agree with all the contents of your letter. Some have pointed out in the other comment about PM boosting moral support of DRDO by a public announcement, but we all know what he has used that situation for! But still it is a mistake on your part to not mention ‘congress’ or ‘rahul’ or ‘sonia’ specially in the letter as this would suggest you have channeled all your criticism towards ‘bjp’ and ‘modi’ thus indirectly (unintentionally though) giving edge to congress through this letter via you people [also improperly, unintentionally suggesting that congress is all right about following MCC]. You should have definitely looked for instances of their violation of mcc and mentioned it here to save yourself of this criticism. Rest all are Good sirs/Madams. Great Job! Though there wouldn’t be any significant change because of this letter, at least your disapproval of EC’s conduct would be noted by responsible fellow citizens this country. Jai Hind!